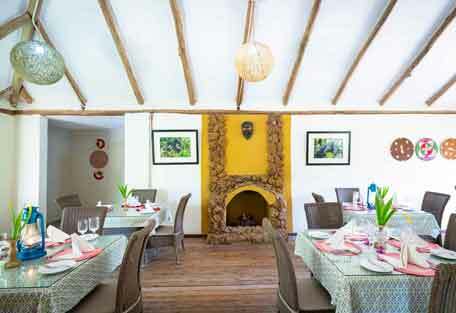 The main lodge area houses the dining room, a relaxation lounge, spa treatment room and a quaint nook where the bar is situated. This remote lodge comprises 18 individual units (sleeping 45 in total) each with private wooden balconies overlooking the wilderness. 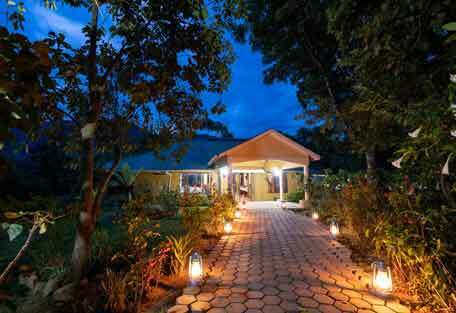 The architecture and decor is comfortable, and all amenities from home are provided. 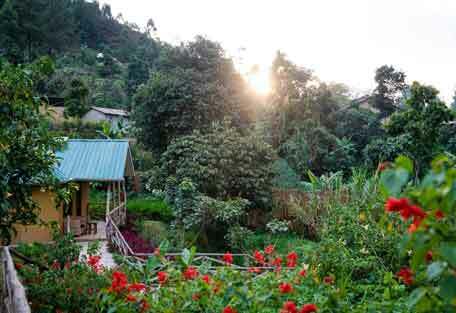 Rooms have solar-powered lighting, en-suite bathroom with hot and cold water and flush toilets. 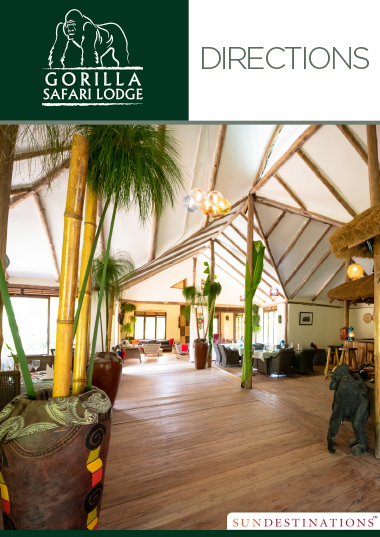 Each unit is designed to look like stand-alone log cabins that blend in with the surrounding rainforest, ensuring that the lodge does not look out of place in its wild surrounds. 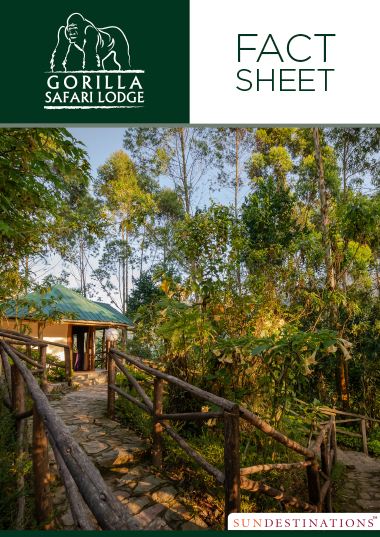 Cobbled paths with wooden bannisters join the well-appointed rooms, each of which have been named after individual gorillas or gorilla tribes. Some of the units come with a deep-set stand alone bath and a fireplace. There are plenty of activities and things to do in the area, all of which can be arranged on site. 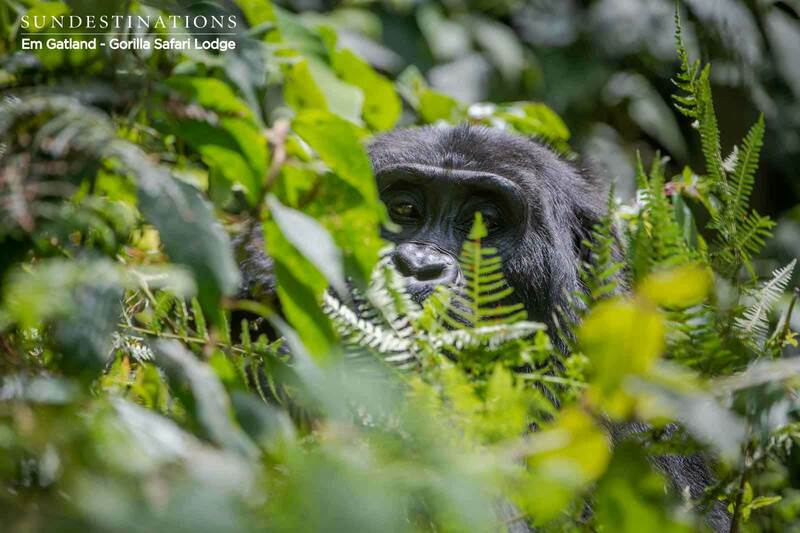 Guests can choose between the full day gorilla conservation experience or the popular gorilla trekking. Gorilla Lodge is child-friendly, but kids aren't allowed to trek with the gorillas - babysitting facilities are available. There are also massage and spa treatments available on request. 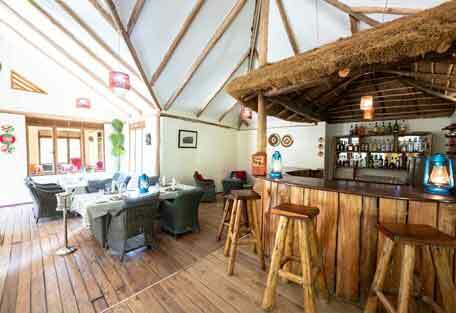 Either way, Gorilla Safari Lodge is the ideal hideaway to base yourself for a gorilla trekking safari in Uganda. 18 rooms in total, 3 of which are inter-leading rooms. Family rooms have 3 beds in each unit and 2 individual rooms are actually joined - ideal for friends. 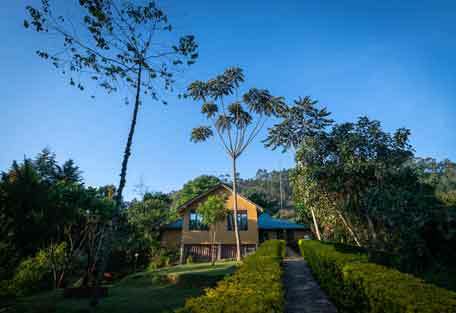 Gorilla Safari Lodge is located in a prime position for a gorilla trekking safari. 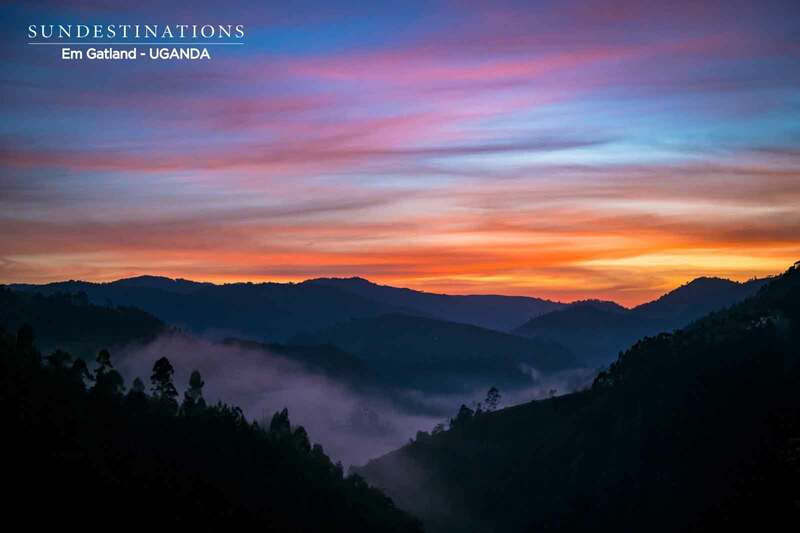 It's a mere 5 minute drive to the Bwindi Impenetrable Forest National Park, the starting and briefing point for the gorilla tracking/trekking or habituation experience. 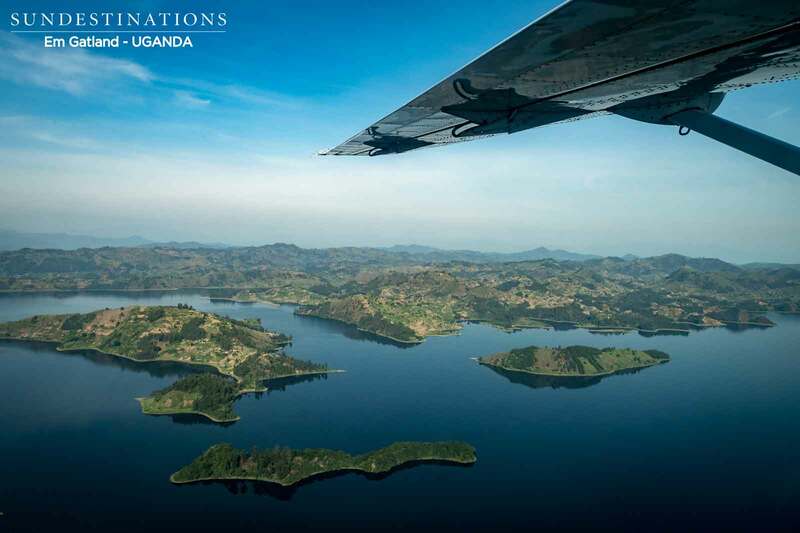 The closest airstrip is Kisoro and is a mere 2 - 3 hours from the lodge. 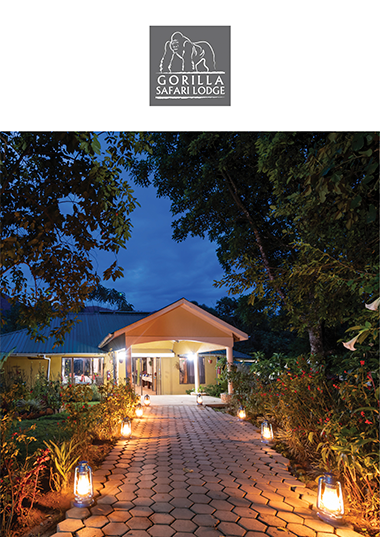 The lodge itself is surrounded by dense and lush vegetation, and overlooks the looming hills of the Bwindi Forest. 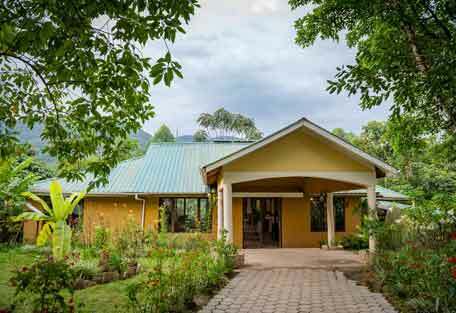 Just in front of the lodge is a small school and the fascinating Batwa Pygmy community, the orginal people of the rainforest. 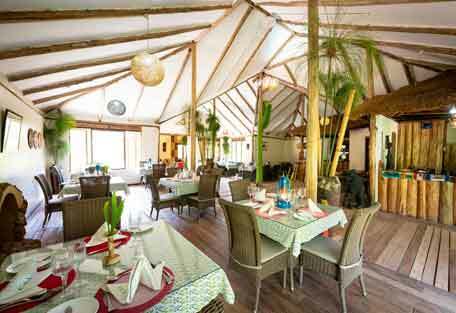 Because of its location in the depths of a valley, the climate is normally quite cool and moderate at the lodge. 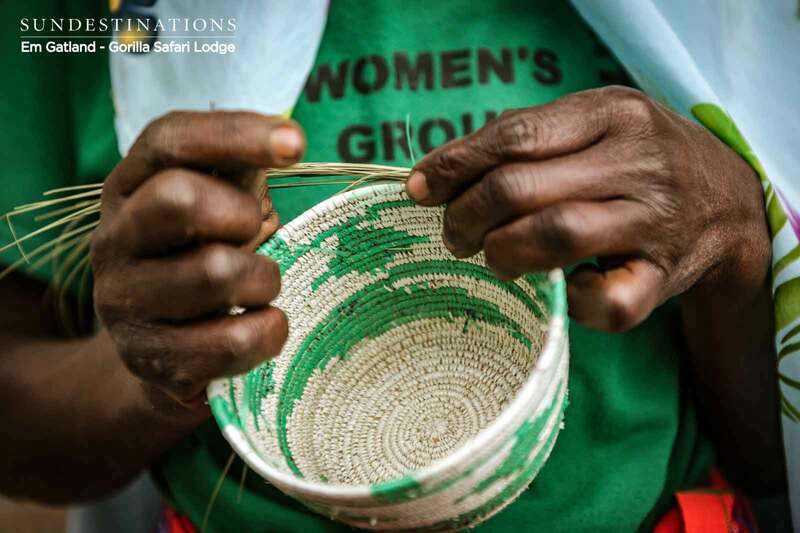 Close to the lodge is a small community market, where guests can buy their souvenier t-shirts and a few handwoven items. 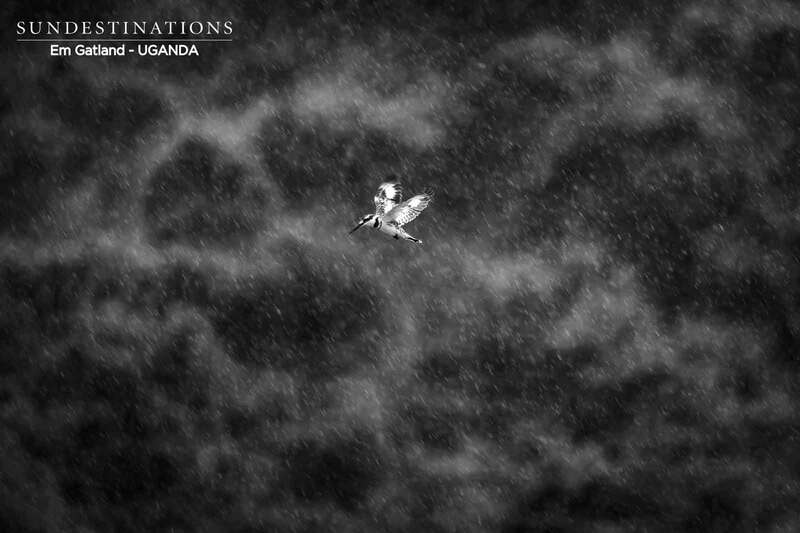 There are two ways of getting to Gorilla Safari Lodge - driving or flying. If you'd prefer the road option, we do recommend hiring a driver. The drive is roughly 7 - 9 hours, adn tkaes you through a number of remarkable landscapes. From Uganda you need to travel from Kampala crossing through the Equator through Mbarara onto Kabale. 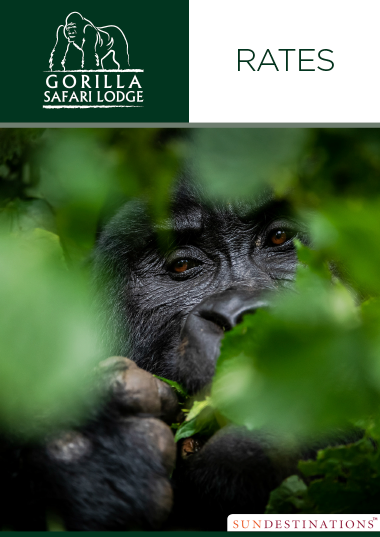 Continue to Kisoro and branch off at Muko (banyenzaki memorial) and follow the Gorilla Safari Lodge signs on to Rushaga where the lodge is located. Guests need to fly into Entebbe International airport. 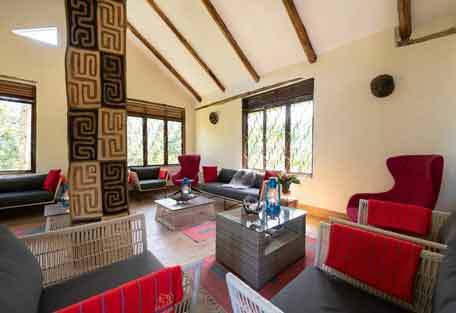 Charter Flights from Entebbe International Airport or Kajjansi to Kisoro Airstrip, with a road transfer from the airstrip in Kisoro to the lodge. This is a 2 hour drive.